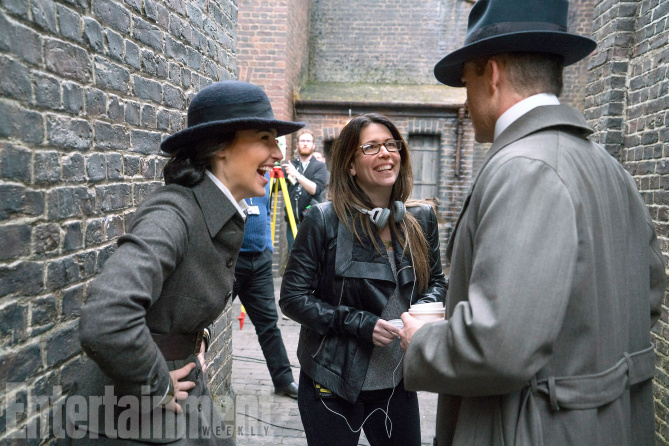 We are, at the time of writing, little over two weeks away from the theatrical release of Wonder Woman – and we couldn’t be more excited. Warner Bros. is already beginning to host screenings of Patty Jenkins’ standalone pic across the country, and the consensus seems to be one of cautious optimism – so far, at least. That momentum continued to burn bright earlier this morning when Empire returned from Themyscira bearing gifts, namely an all-new action shot of Robin Wright’s Antiope. 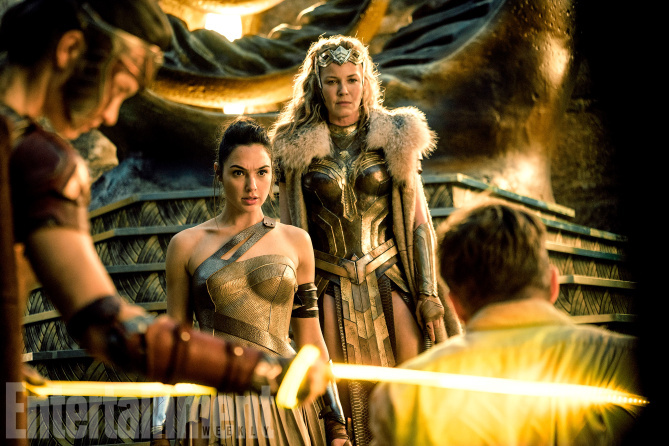 Dubbed the “greatest warrior of all time” by DC producer Charles Roven, Diana Prince’s hardened aunt is not to be trifled with, and from the trailers alone, we know that Antiope will be one of the key figures in helping Gal Gadot’s Amazonian transition from a kind-hearted island dweller with a big heart to a battle-ready warrior with an even bigger heart. 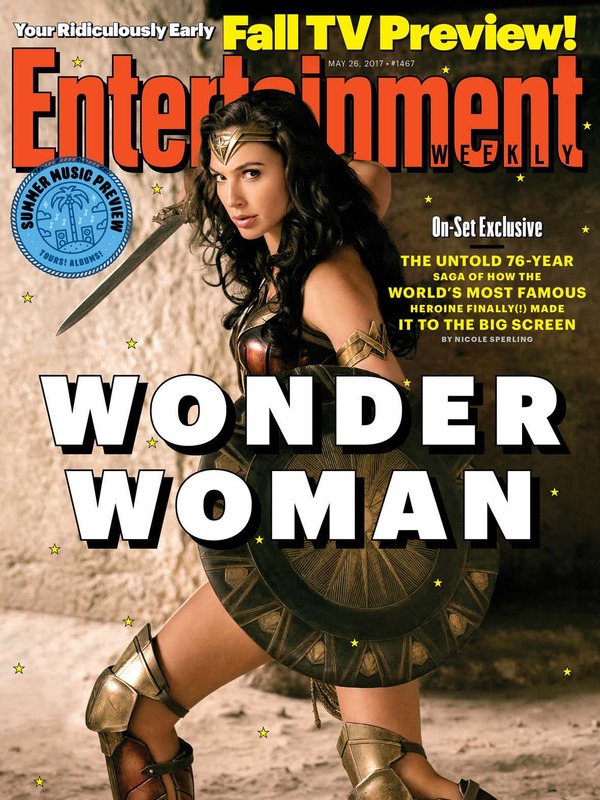 But as Diana soon learns, trading the sun-kissed beaches of Themyscira for a Europe embroiled in trench warfare proves to be a shock to the system, but the planet isn’t going to save itself. That crusade for justice – and, by effect, Diana’s origin story – kicks into high gear when the DC icon is fighting on the frontlines of The Great War to save humanity from itself. 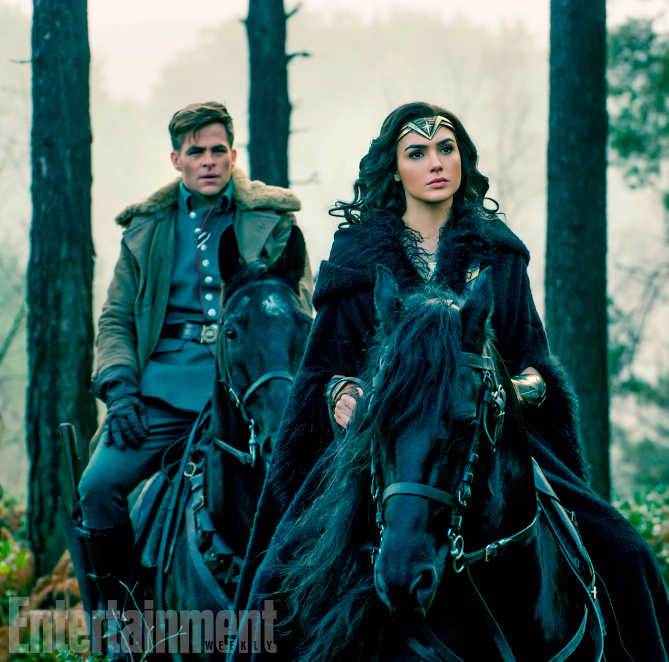 She won’t do so alone, of course, and from the ongoing Wonder Woman marketing blitz we’ve got a taste of the bond that Diana forges with Steve Trevor (Chris Pine), a WWI fighter plane who crash lands off the coast of Themyscira. 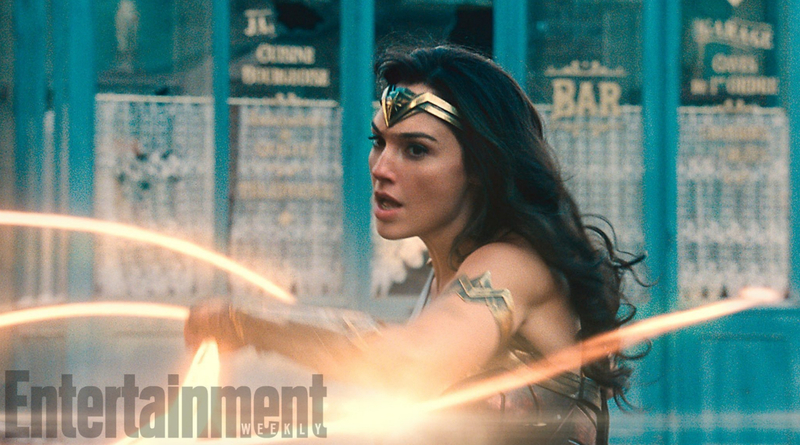 You’ll be able to see all that and more, including Diana’s Lasso of Truth and Patty Jenkins orchestrating the action from behind the scenes, via the gallery above, while EW’s fall preview issue is embedded below. 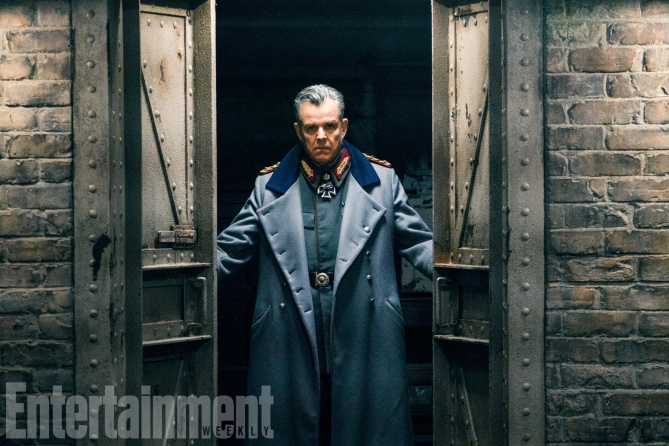 Wonder Woman opens June 2nd.